Ello all, I don't know if you remember me, but I'm a teen from Alaska and I was toying with an idea. I'm really wanting to get into making my own clothes, specifically traditional clothes of different cultures, and the different MUGs of other cultures are interesting to me, whether that be a kimono, a robe or a lava-lava. Now, I'm from Alaska, and a lot of cultures that wore skirts, and still wear them, are in hot regions of the world, and, well... I'm not. So I wanted to make a modification, and part of my question is how well this mod would work. I want to make specifically a lungi/dhoti/sarong, but instead of making one out of cotton, I want to make it out of a thick wool and line it to make it wearable in the winter and in the cool summers. I know that all of these garments are worn by simply folding (and in the case of the dhoti, sometimes tying), and I was wondering if perhaps a thick wool might cause it to be more likely to fall off? Also, what would the freedom of movement be like? And, finally, how might I go about making some of these garments? I know the sarong is relatively simple, but finding out how to make many of these garments is difficult. I'm also interested in making a gho if anyone knows how to make one of those. Also, does anyone know of any other MUGs that might work well or better than those listed for my climate? Scotland is perhaps not quite as cold as Alaska, but a kilt of good wool is definitely a cold-climate garment. Not the easiest to make, unfortunately, though it can well be simplified with just 2 - 3 pleats at the back instead of the innumerable pleats they sew into the traditional military kilt. You'll need good woolen hose for your legs of course. Alternatively, a good woolen (north-african) jellaba will keep the cold out, worn over whatever else you fancy. It's generally quite wide and straight, no shaping to shoulders or waist, so should ot be too difficult to make up. couyalair wrote: Scotland is perhaps not quite as cold as Alaska, but a kilt of good wool is definitely a cold-climate garment. Not the easiest to make, unfortunately, though it can well be simplified with just 2 - 3 pleats at the back instead of the innumerable pleats they sew into the traditional military kilt. You'll need good woolen hose for your legs of course. I actually do already have one kilt (it's a 6 yard, 10 or 12oz), and I love it. Very warm and amazingly comfy, unless you're sitting very long periods of time. I do need to get better hose for it though, mine are a little thin. I don't think Scotland is quite as cold, but kilts do still seem to work here. It's even been -10 to -20F for the past week or more, but I've found mine to be much warmer than my typical jeans. The only reason I'm not getting another/making one is just that. They're difficult to make and very expensive. I hadn't thought of doing just a few pleats, and that certainly would work for a more functional garment. Would a dyed wool look good as a kilt, or do you think that maybe I could find a plaid wool? I'm on a bit of a low budget. I may do a full kilt later when I'm more experienced, but right now I think I want to start with simpler stuff. The extent of my sewing experience is making a hat. Once. With someone helping me. I actually was just thinking about doing something like that as well, so thanks for reminding me on what the name is. I know you typically wear a shirt (or a tunic) under it, but do you normally wear pants underneath? Alternatively, perhaps I could make a cotton lungi/etc just for the summer and wear a jellaba over it during winter or colder days? Dragearen wrote: I know you typically wear a shirt (or a tunic) under it, but do you normally wear pants underneath? Presumably, you are talking about the jellaba. Since it covers you up completely (in Morocco, they are ankle length), you can wear as little or as much as you like underneath. North Africans wear trousers of various lengths most of the year, but some go without in summer and wear a sleeveless cotton garment called a foquia or jebba. By the way, in black Africa (west), where it can be very hot and humid, muslims wear a long cotton or even synthetic robe with sleeves -- ! -- and long trousers underneath, which I find quite incomprehensible, and most inappropriate for the climate. It's quite an attractive costume and it can be very colourful, but I would not want to wear it myself. I imagine that trousers are a symbol of modernity for peoples that used to go about more or less naked until they were colonized. African women (to my limited knowledge) prefer to be unbifurcated, unlike their European sisters. Africans in general seem to be quite astonished by my skirts. Yeah, I'm sure that is part of it. See, 15C is a typical summer day for us. You don't start seeing people in thick coats (you might see them in a hoodie or something at 15C) and scarves until about -1C. I've actually even worn my kilt in as cold as -26C. My knees were a little cold, and I had to pull my hose up, but it was still warmer than pants. Yes, I am talking about the jellaba. That does make sense. Well, it doesn't seem all that complex to make. I'll see what I can do. Also, one more thing while I'm at it... 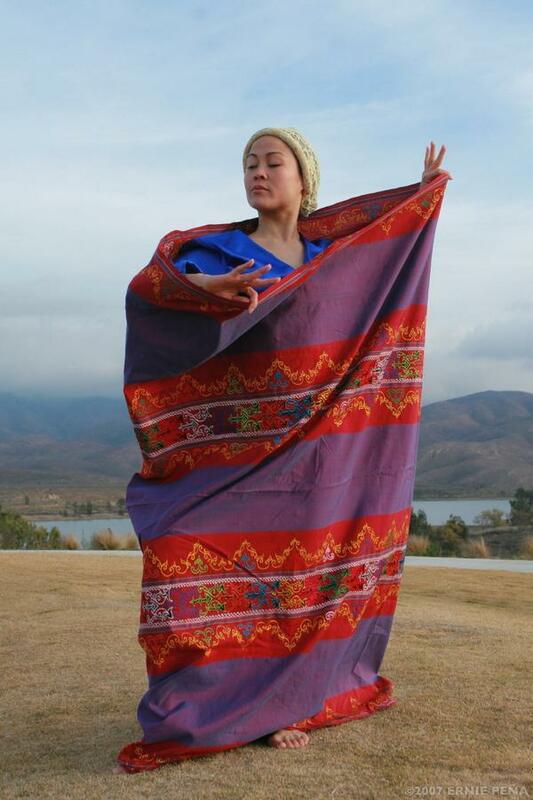 I did find one interesting skirt online that is VERY cheap, handmade in Nepal, but I'm really not sure on what the size is supposed to be, the length, any of it, nor even whether it's really all that masculine. I think it does have kind of a cool look to it though. It's cotton, and it only weighs 325g, and I have absolutely no idea how warm or freely moving it would be. It simply says that the size is "standard" (I assume it's a one size fits all sort of thing), nothing more. No measurements are offered. But, it's also $8. Last edited by Dragearen on Fri Jan 20, 2012 10:55 pm, edited 1 time in total. couyalair wrote: By the way, in black Africa (west), where it can be very hot and humid, muslims wear a long cotton or even synthetic robe with sleeves -- ! -- and long trousers underneath, which I find quite incomprehensible, and most inappropriate for the climate. A sarong is very easy to make. In Indonesia and Thailand you can buy for only a few Euros a piece material, and ask a tailor to make a sarong by add two ribbons. And ready is your sarong. Wool fabric seems to cost as much as a finished kilt new off the rack. You can look on Ebay, women's kilts, I think a size 18 is something like a 34" waist. Very good price, you could retro it, removing the pleats, getting more yardage for a wrap. The come in tartans and solid colors, and come well below the knee. A more frugal way to get quality wool material than buying new outright. Wim Jansma wrote: and ask a tailor to make a sarong by add two ribbons. And ready is your sarong. Hmm, just wondering: What are the ribbons for? I have quite a few sarongs and they are just a rectangle of light cloth (mostly 67" x 43") with no ribbons at all. Im just wrapping them around me folding them twice on the waist. They stay perfectly that way, even when with intense movement. Or alternatively, you could sew it to a tube with dimensions of 5' by 3' when flattened, as with the Filipino malong. To wear it as a skirt, one way you could do it (which is my preferred method) is to fold it inwards until it is the height you want, draw the fabric to one side, grab the excess ends then knot to secure.